The War Machines is where modern day Doctor Who starts. 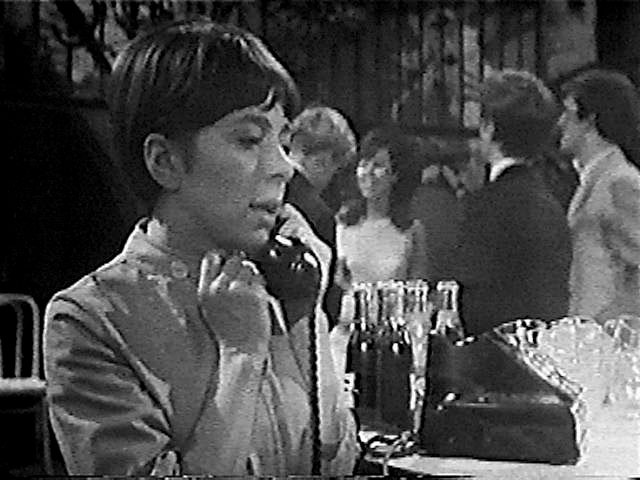 At the time it was broadcast in 1966, it was set in present day. 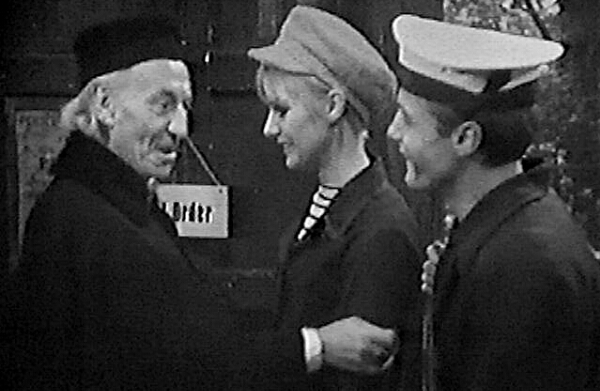 Three years after he first appeared as the Doctor, William Hartnell is about to bow out of the role in two stories time in The Tenth Planet, his current companion Dodo (Jackie Lane) is leaving in this story and we meet his new companions, two swinging sixties characters, Polly (Anneke Wills) and Ben (Michael Craze) who stay long enough to witness the Doctor's first regeneration and also star alongside Patrick Troughton for a short time. There is a lot of Doctor Who history that happens in this story. The Doctor and Dodo arrive in present day London just as the new computer system WOTAN is about to go live. It will revolutionise the entire world by linking itself to every computer in the world creating a sort of world wide web. There are lots of high hopes for what WOTAN will mean for the world, but the Doctor isn't certain. Naturally he is right to be concerned, WOTAN seems off from the beginning in a rather chilling scene where it guesses what TARDIS actually stands for. If WOTAN isn't stopped, it will take over the earth and transform humans into mindless drones that will serve its cold and sterile mind. Wait a moment, that reminds me of another creature that isn't too far round the corner! The story idea at the time was a relatively new concept. Nowadays, every television show or film is about a computer that goes mad and tries to take over. Indeed, in 1973 Doctor Who would once again tread into this territory with The Green Death years before anything like The Terminator dominated the big screen. It also predicts the internet, alright many shows also did this, but it is the clarity that is quite surprising. We should just be happy our internet doesn't have great big robotic machines trundling around and pounding people to death...or does it? But as primitive as WOTAN is by today's standards, there is no deigning that WOTAN is decidedly creepy. It also seems intent on the Doctor's name being "Doctor Who"! In one of his last stories as the Doctor, William Hartnell is a complete paradox, he is commanding and magnetic as the defender of the Earth but seems completely out of his depth in the contemporary setting. It is evident that this Doctor is more comfortable at rubbing shoulders with Aztecs and Romans than he is descending the steps to the Inferno, the hottest new night club! But he is still defiant and strong in a way that belie his appearance. Dodo is poorly served in her last story. She is possessed by WOTAN and the last time we see her is in a catatonic state and being shipped off to the country to recover. Would it have been too hard to get the producers to right her a proper farewell scene? However, the introduction of Ben and Polly feels really organic and sketches out both their personalities quickly and well, even if it a slightly stereotypical view on the youth of the sixties. The War Machines wouldn't be a type of story we would see in the current incarnation of the show but, despite it's flaws, it is an entertaining piece of sixties Doctor Who. It showcases William Hartnell in a great light and while the War Machines might not be as aesthetically pleasing as the Daleks, they are a very plausible threat for their sixties setting.